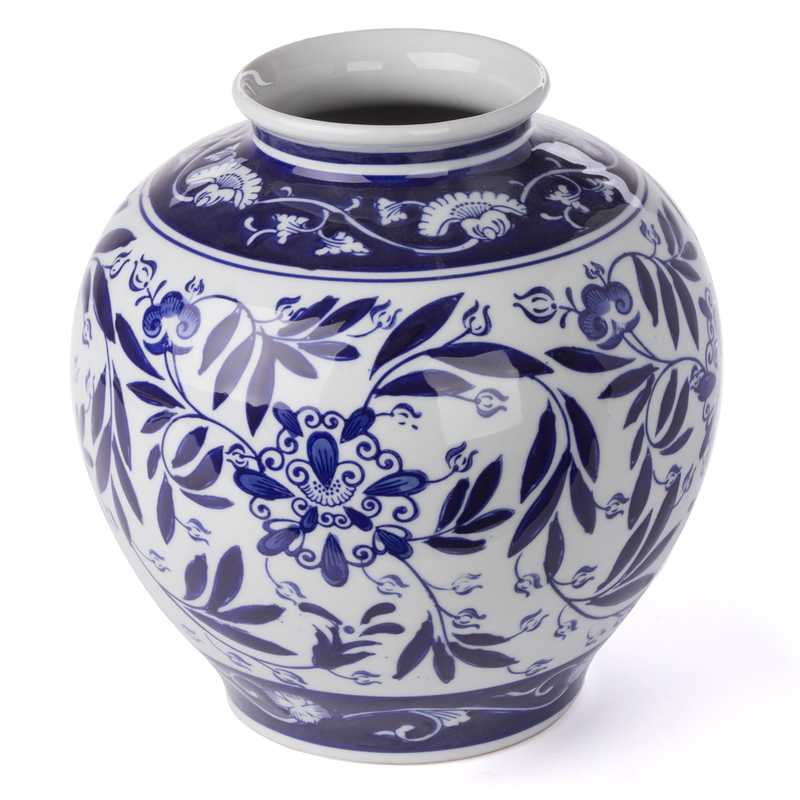 Inspired by ancient pottery design is the bold and beautiful Posy Vase, made from solid ceramic with a glazed exterior. Decorated with a swirling floral design in blue and white, this vase recalls the porcelain pieces mastered by Chinese artisans during the Ming Dynasty, many centuries ago, and is ideal for lending some Oriental charm to your home. Dimensions: 22cm (w) x 24cm (h), 10cm wide at neck.